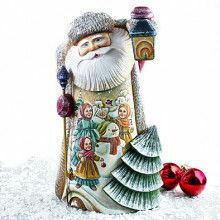 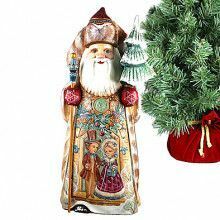 This hand-carved, hand-crafted, and hand-painted wooden Santa doll is really a sight to behold, and a piece of art to cherish for years. 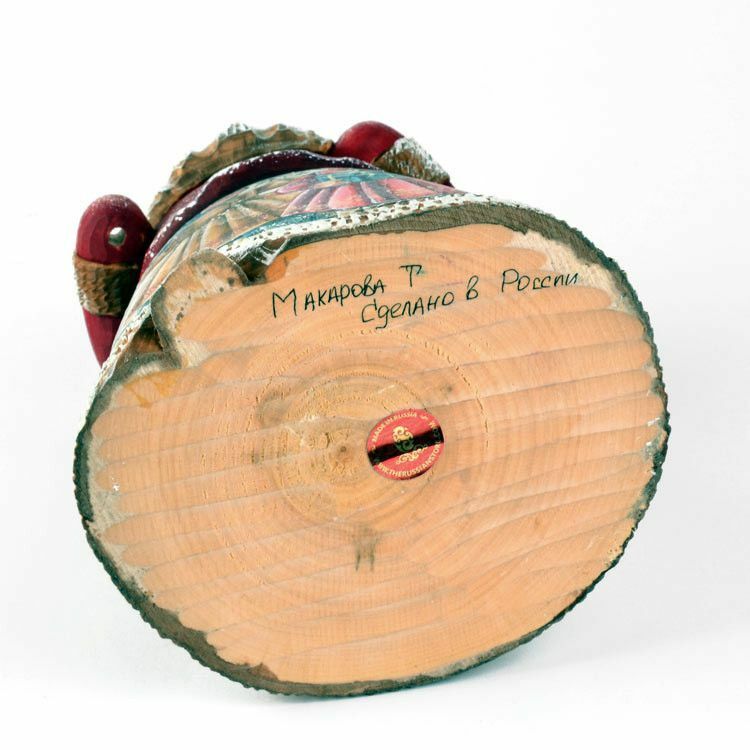 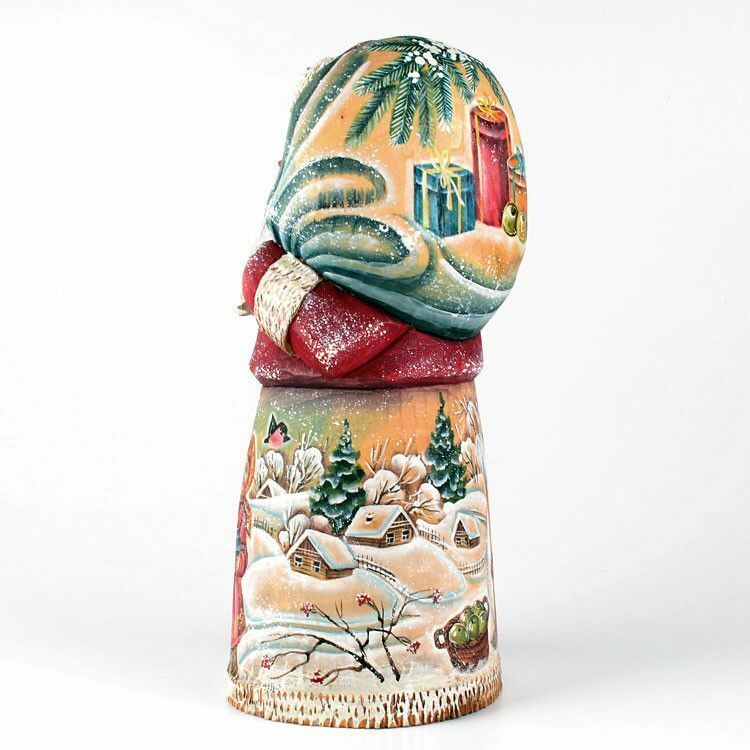 This doll was crafted by master Russian woodworkers using time honored techniques which have been passed down, and perfected, throughout the generations. 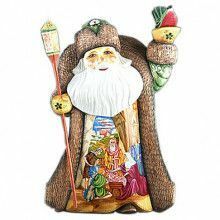 There Russian counterpart to Santa Claus is actually called Ded Moroz, which translates into Grandfather Frost - however often he is simply referred to as Father Frost. 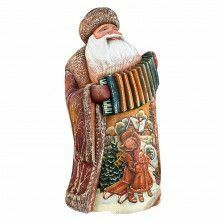 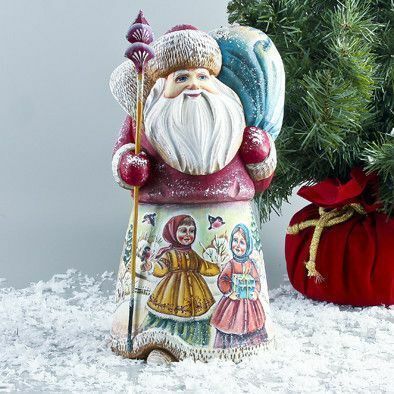 There are some differences between the traditional western Santa, and the Russian variant. 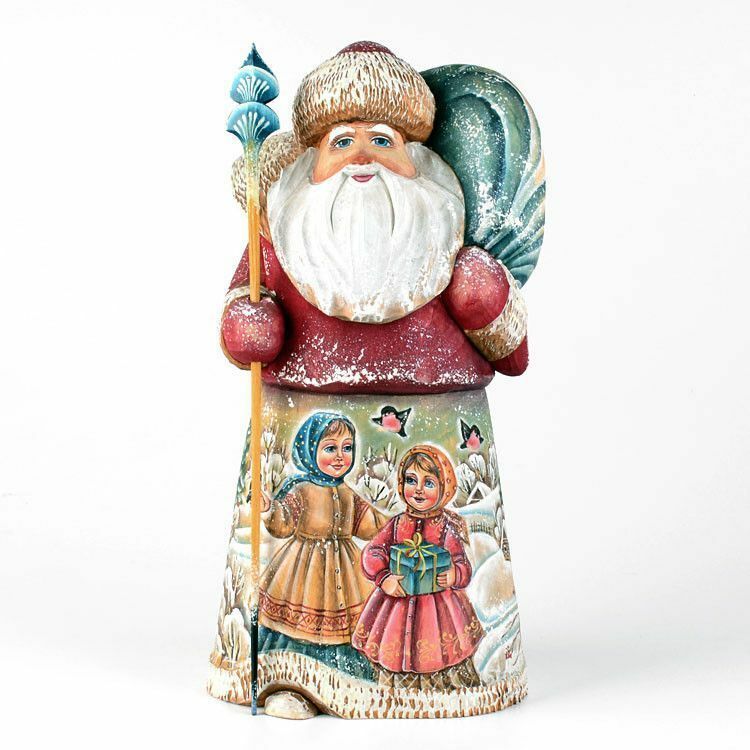 Ded Moroz drives a Troika, not a sleigh, he also lives in the Russian village of Veliky Ustyug, not the North Pole. 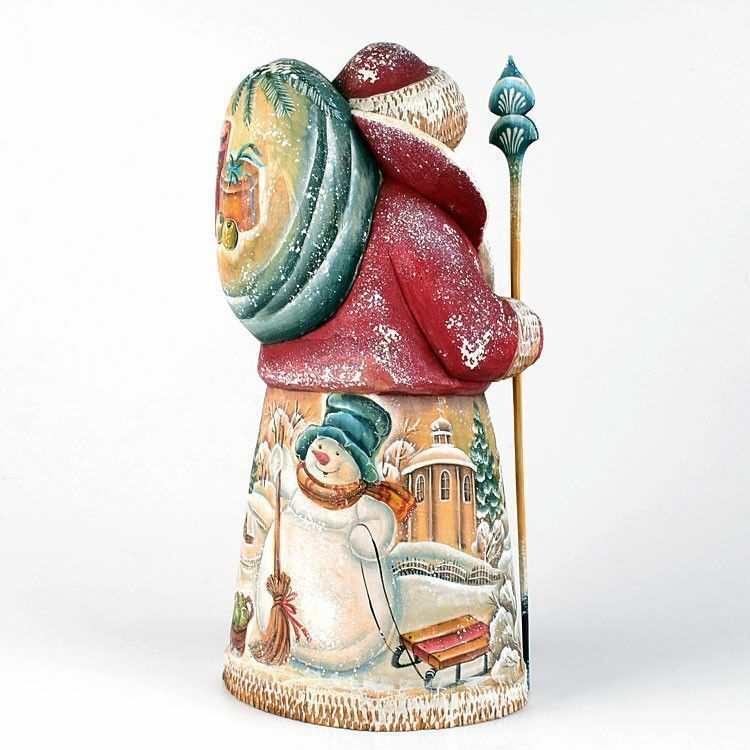 He carries around a magical walking stick, and does not always wear red. 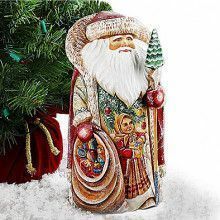 These differences aside, you can clearly see the same character inside both the Russian, and traditional versions of Santa Claus. 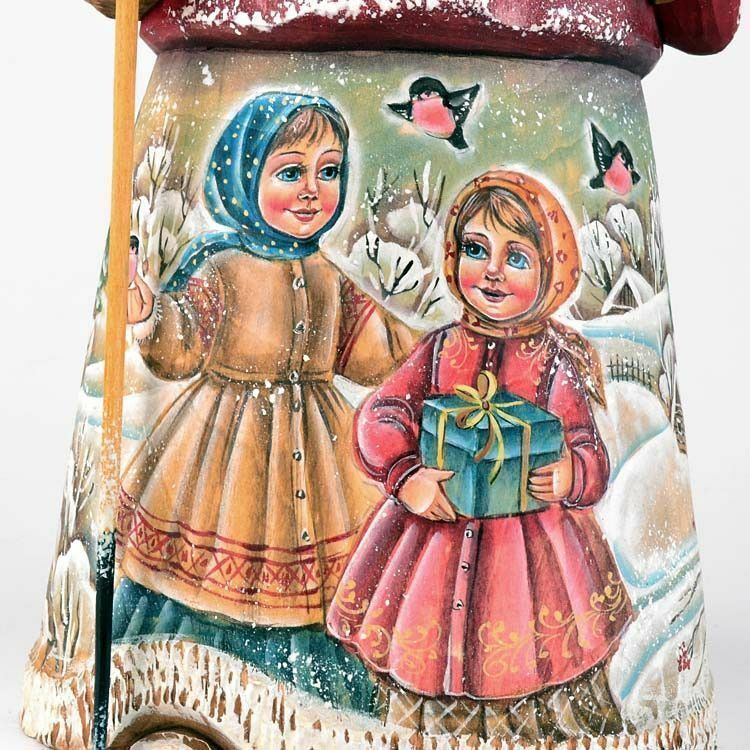 Their long white beads, snow boots, over coats, hats, kindness, rosy cheeks are immediately recognizable to any culture.